Rigsketball Kicks Off Another Year Tonight! It may not seem terribly obvious, but Portland loves basketball. We rep Rip City's team the Blazers to no end and when the suns out, a great deal of Portland residents flock to parks and playgrounds to partake in said blacktop court games. There's one instance in the year that blends two of the city's loves, music and basketball, together. That event is Rigsketball, and they're hosting their kickoff party tonight. The actual Rigsketball tournament isn't happening yet, but those that head to the Doug Fir tonight will get to peep the premiere of the Rigsketball video, a 30 minute promo video pulling inspiration from old school Sports Center, Yayoi Kusama and WWE episodes. It'll also include clips from 2016's festivities, as well as some specially created ad breaks from the band Heavy Breather. Rigsketball's kickoff party will also feature performances by Deathlist, Nasalrod and tournament creator Bim Ditson's band And And And. 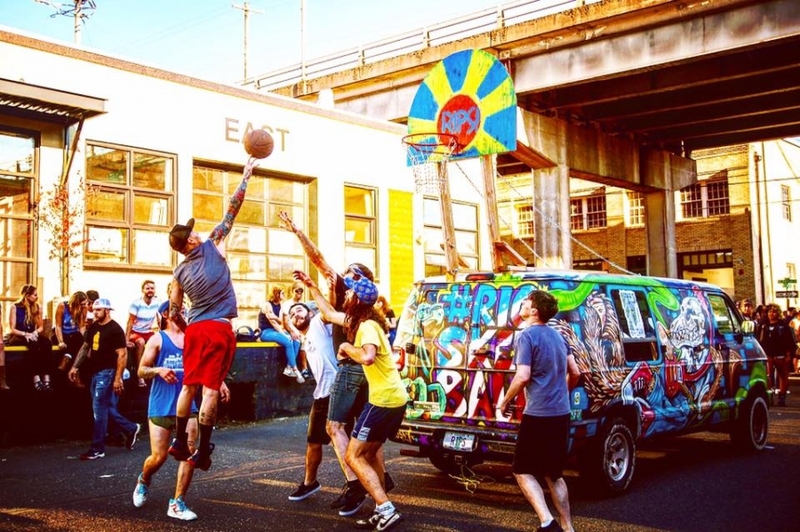 Bands that wish to participate in the Rigsketball tournament this summer have a chance to sign up for early registration at the show, as long as they get there early! Music starts at 9pm but the premiere of the promo video is at 8:30pm, so be there on time with $5 in hand for the cover. There will even be some extra special announcements before the video screening, for those that want in on some secret info. 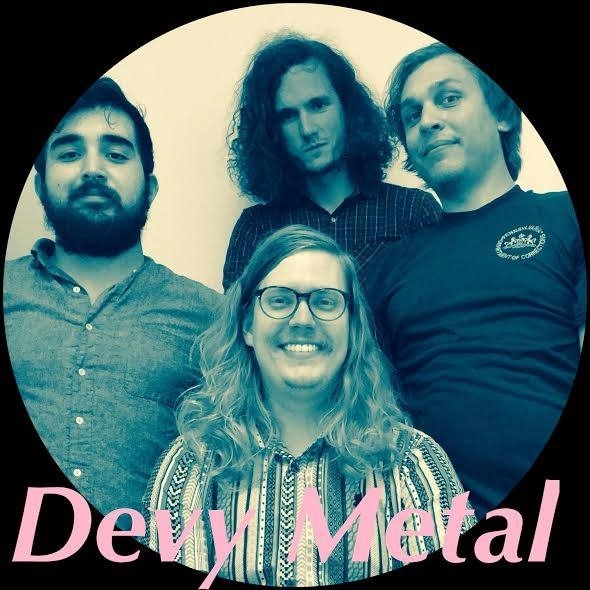 Devy Metal may be somewhat new as a band, but they come with all the spirit and vigor as seasoned vets. They've got a couple singles out now ("Greenleaf," "Baptism" and a cover of "Tempted" by Squeeze), but they're releasing a mystery single with us all tomorrow as part of their Sunday Sessions at Rontoms with And And And. As always, Rontoms Sunday Sessions are free, so come here Devy Metal's new track and some Portland favorites in And And And. Check out Devy Metal's live recording of "Tempted" for Noise & Color's Cake Away Show below. Devy Metal - Tempted (Squeeze Cover) from The Cake Away Show from Devy Metal on Vimeo. The Old Church is quite a beautiful venue. Sounds bounce of the historic Carpenter Gothic church's walls with sonic ease, making it an ideal location for amplifying even the softest of tones. On Saturday, the Old Church will be host to a night of acoustics, meant to benefit a city-wide epidemic. 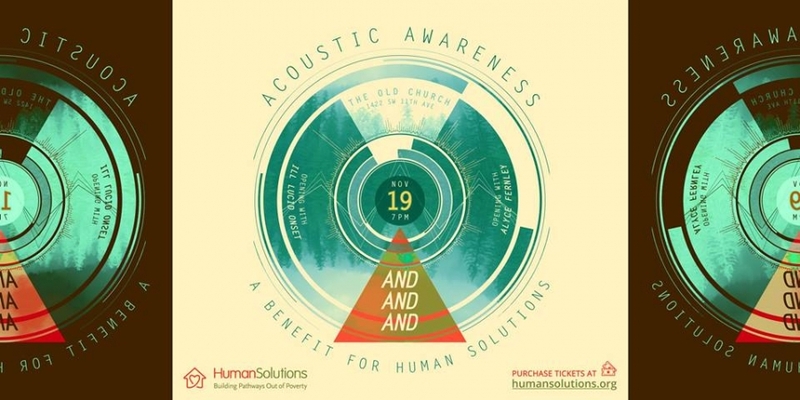 Spreading awareness acoustically, And And And, Ill Lucid Onset and Alyce Fernley will be gracing the Old Church's large, organ-dominated stage to play sets for Human Solutions. The local nonprofit provides services to low-income and houseless individuals within Portland and granted the city's current housing state of emergency, the nonprofit could use all the support it can get to help support those most in need. Tickets are $10 and can be purchased here or at the door. For more information on how to volunteer with Human Solutions or other ways to help, visit their website at humansolutions.org. We're not talking about sexual intimacy here, though by all means get freaky. But tonight, a nice relaxing night will hit Bunk Bar with acoustic force. Nick Delffs translated his mammoth aptitude for guitar playing and songwriting from his established Shakey Hands project to his work with Tiburones, but more relevantly, in his solo effort Death Songs. His rich vocal quality adds dimension to his production, and also helps keep his "one man on stage" live performances intriguing. Expect this performance to include a mixture of not yet released material as well as favorites from his vast discography. Leaving his usual post as the frontman of the more heavier rock band And And And, Nathan Baumgartner will be sharing some of the band's past, present and future songs in their original form, as they all begin acoustically during the writing process. Baumgartner's knack for creating songs of emotional turmoil will only be showcased more when backed by the personal playing of them on an acoustic guitar. 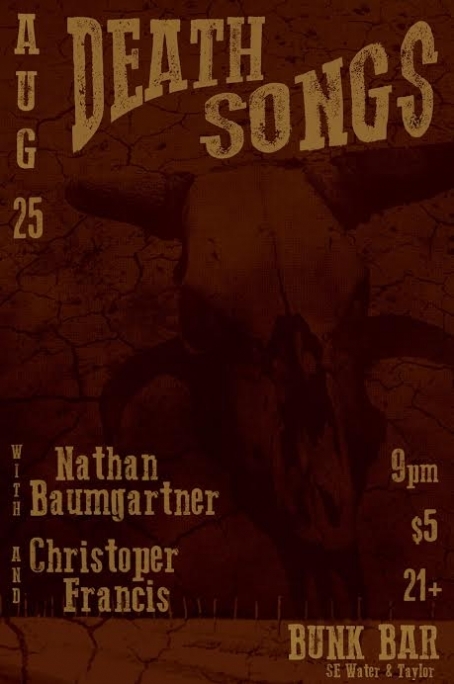 Joining Delffs and Baumgartner will be Christopher Francis and his soul-infused folk, swaddled by his crooning, husky voice. You might recognize him from playing with the Portland Cello Project, but you'll definitely remember him for his solo efforts. 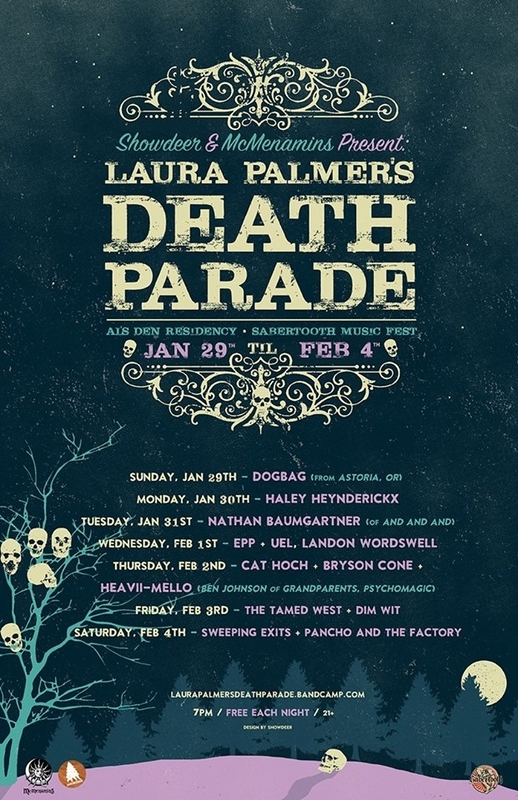 Tickets to tonight's show are only $5, with music starting at 9 pm.